Academic readers will recognize not only the name but also the many scholarly contributions of Randy Hodson, who passed away a little more than a year ago. Remembrances, both personal and intellectual, have circulated intensely since Randy’s death, but until now they have been limited to the oral tradition. With the publication of the most recent edition of Research in the Sociology of Work, all that has changed. In this brief article I want to provide an overview of this volume, in effect providing an invitation for readers to engage the articles therein. Edited by Lisa Keister and Vincent Roscigno, the volume carries the hefty title A Gedenkschrift to Randy Hodson: Working with Dignity. And indeed, this is a hefty collection, for it contains much that leverages Hodson’s contributions, extracts their value, and leads the field forward in much the way that he would have hoped. This is must-reading for sociologists of work. The volume opens with three relatively short pieces by former colleagues of Randy’s. The brief preface by Keister gives a thumbnail sketch of Hodson’s career, touching on his unstinting generosity, his scholarly works, and his collegial demeanor. The introduction by Roscigno adds to this human scale view by speaking to the collaborative work and mentoring in which Hodson engaged throughout his life. 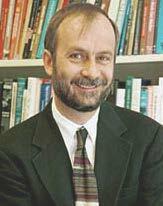 Dan Cornfield then provides an intellectual biography of Hodson’s work, which moved from a structurally oriented focus on wage determination and labor market dynamics (as in his initial studies), to a later concern with the ways in which workplace structures and management behaviors impinge on workers’ pursuit of dignity at work. As Hodson wrote at the outset of his 2001 Dignity at Work: “life demands dignity and meaningful work is essential for dignity” (p. 3). The volume falls into two distinct sections. Part I contains five papers dealing with the theme of worker resistance, an emphasis in Randy’s work since the mid-1990s. Marek Korczynski develops a rich ethnographic analysis of worker resistance at a window-blinds factory in the English midlands. This paper shows how the lived culture of workplace life (including workers’ musical tastes and ritual behaviors) provided a cultural repertoire that is fundamental to their capacity to resist management’s subjugation of them. Vicki Smith provides a retrospective account of her own prior work, re-imagining it using the lens that Hodson himself had provided. Key here is her acknowledgement of the insufficiency of the Marxist binaries on which she had relied. Teresa Sullivan addresses how “greedy institutions” (the product of a 24/7 economy) makes the defense of worker dignity all that much more difficult. Sullivan, President at the University of Virginia, is only too aware of how higher education has been complicit in this intensification of work. Writing from a labor process perspective, Paul Thompson and Kirsty Newsome acknowledge the value of Hodson’s work, but honor that contribution by subjecting it to an empirical critique. Finally, there is my own humble analysis of the ongoing debate over workplace resistance –a theoretical analysis of American and European approaches that have emerged during the last quarter century. I did not consciously set out to highlight Hodson’s work; this happened of its own accord. If Part I of the Gedenkschrift is devoted to themes that Hodson directly addressed, the papers in Part II seek to extend his approach into relatively new nooks and crannies, all united around the theme of inequality. The four papers here range widely across such institutional domains as higher education, housing, inequality regimes at the workplace, and the effects of neo-liberalism on worker commitment to the firm. The paper by Rachel Dwyer shows how stagnant wage levels have contributed to the tuition squeeze that students and their families have faced. It is not only rising tuition and falling state support for higher education that have led to rising student debt and educational inequality; in addition, these outcomes reflect the failure of wages to keep pace with productivity gains over time. The paper by Neil Fligstein and Zawadi Rucks-Ahidiana provides a rigorous analysis of how the Great Recession contributed to economic inequality, destroying the home equity and wealth of ethnoracial minorities and lower-to middle income groups with particular ferocity. Donald Tomaskovic-Devey and Dustin Avent-Holt provide a critically important overview of how theoretical frameworks have evolved in the study of organizational inequalities, showing how the “new structuralism” and labor process frameworks –both of which were insufficient—have flowed into a new perspective toward relational inequalities, which is now equipped with the kinds of datasets that are needed for the cumulative growth of knowledge. Martha Crowley invokes a wealth of data gathered by Gallup to show that firms that exhibit supportive management practices clearly derive an economic and practical advantage thereby. It is impossible to honor Hodson’s life and work in the space of a single volume containing nine papers, no matter how creative and rigorous those papers may be. This collection, however, is a down payment, advanced toward the debt that so many scholars (and workers) have incurred. This is an important volume, containing must-read content that will be sure to make its mark on the field. Randy would have been proud.